Below you can view all the homes for sale in the Village Farms subdivision located in Carmel Indiana. 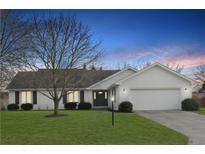 Listings in Village Farms are updated daily from data we receive from the Indianapolis multiple listing service. To learn more about any of these homes or to receive custom notifications when a new property is listed for sale in Village Farms, give us a call at 317-910-4605. Homes sits within Westfield School district just minutes from great shopping/food! MLS#21632717. Keller Williams Indy Metro W.
Enjoy The Exciting Growth of Our Westfield Community! 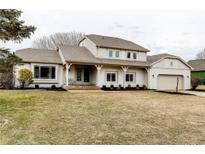 Open Sat & Sun 2-5 MLS#21630129. United Real Estate Indpls. The neighborhood amenities include pool, playground, fishing lakes, horse farms, & tennis courts are only a short walk away. MLS#21627156. Joseph A. Logan. Set your showing today, this is a must see. MLS#21624154. Keller Williams Indpls Metro N.
Taxes will be nearly cut in half for owner occupied resident. MLS#21618811. F.C. Tucker Company.